Once there was a girl named Harper who had a rare musical gift. She heard songs on the wind, rhythms on the rain, and hope in the beat of a butterfly’s wing. Harper lives in the City of Clouds, an enchanting place where it rains every day and an umbrella is always a good idea. With her Aunt Sassy, her beloved cat, Midnight, and all of her neighbors in the Tall Apartment Block, every day is full of possibility. But when every cat in the city goes missingincluding MidnightHarper is determined to find all of the precious pets. And she’ll need a magic, flying umbrella to help in her search. Recruiting friends from her building to help, the magic umbrella whisks them into the sky on the trail of the cats and adventure. They stumble on the Midnight Orchestratabbies on triangle, Siamese singing, Persians on piccoloall under the direction of its fearsome, wild conductor. But can the group use their talents, quick thinking, musical skill, and a little magic to stage a rescue like no other? 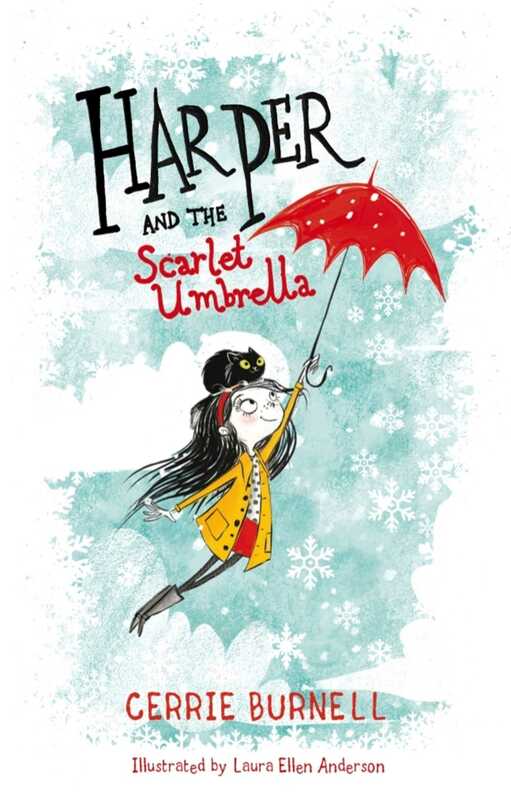 Harper and the Scarlet Umbrella is a spellbinding tale of friendship, music, and magic featuring a diverse cast, brought to life through stunning illustrations. A perfect book to be shared and treasured. Cerrie Burnell is a presenter, actress, and writer, best known for her work in British children’s TV. She was featured in the Guardian’s 2011 list of the one hundred most inspirational women. She divides her time between London and Manchester, England. Laura Ellen Anderson has been a children’s book illustrator since graduating from the University of Falmouth. She is the creator of the Evil Emperor Penguin comic and the illustrator for many books including the Witch Wars series. She lives in the United Kingdom.